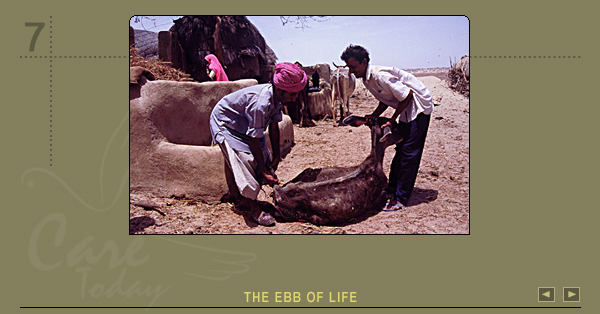 Emaciated and too weak to stand, a bull in Rajasthan reaches its end. Thousands of livestock have perished for want of water and fodder on the searing, wind-blown plains. It's not just the sight of dying cattle is so horrifying, it also makes paupers of herdsmen and farmers who counted their wealth in livestock.